A WIDESPREAD POWER outage in some south Dublin suburbs has been rectified according to ESB Networks. THOUSANDS OF PEOPLE in Dublin had been without electricity this evening as the heavy winds and bad weather continue to cause problems. More than 2,700 homes and businesses in Dundrum, Ballinteer and Milltown on Dublin’s southside were without power since just before 6pm. Traffic lights and streets lights were also reported to be out of order in the affected areas. 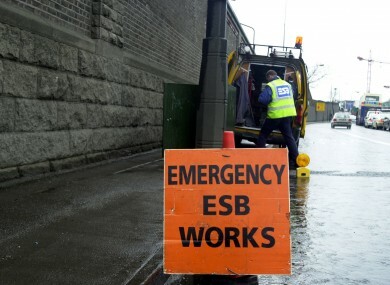 ESB apologised for the loss of supply which last for a couple of hours. Customers can check the ESB website for real-time information about which parts of the country have been affected. Email “Power restored in suburbs of south Dublin after thousands affected by blackout”. Feedback on “Power restored in suburbs of south Dublin after thousands affected by blackout”.